As of October 1, 2018, we no longer offer APA continuing education credit for the 2012 Conference sessions. This decision is based on APA’s standards for current peer-reviewed citations/references that are within a 5 to 10 year-time frame only. 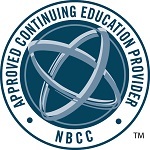 However, these sessions will continue to be offered for APT and NBCC continuing education credit. Earn non-contact continuing education credit by completing tests based upon the sessions listed below. Choose from either the entire conference package or individual workshops. Price includes PowerPoint slides, presenter audio, and CE fee. Handout material not included. This workshop offers play therapy practices to address challenges associated with decreased levels of empathy and connectedness demonstrated by children. Using recent brain-based research, presenters will demonstrate methods to increase levels of empathy and selfregulation in children during the play therapy process. Explain the role of brain circuitry in level of empathy and self-regulation. List at least two methods to increase empathy in the playroom. List at least two methods to increase self-regulation in the playroom. List at least one method to assess children’s level of empathy. This workshop will cover many innovative techniques that the play therapist can utilize immediately. The therapeutic use of electronic media, social networking, creative art, music, and other experiential activities will be demonstrated. Special attention will be given to play therapy with the resistant adolescent. This workshop is for the play therapist that is new at using sandtray. The session will cover the six-step protocol including: materials; setting-up the room; session protocol and documentation. You will be introduced to several play therapy therapeutic uses of sandtray materials. Learn about the definition and practice of animal assisted play therapy, the selection, training and care of a play therapy animal, and how to incorporate a play therapy animal into work with play therapy clients in varied settings. Identify at 3 least three animal assisted play therapy techniques to use with clients. This presentation will discuss how structured play therapy techniques can be used with teenagers who engage in self-mutilation. The participants will gain an understanding of the purpose of self-injurious behavior, as well as ways to address challenging family dynamics. Learn inventive play therapy techniques for struggling students. Explore engaging strategies to approach behavioral, social-emotional referrals and teacher / student tensions. Transform play therapy techniques to address individual, small groups and classroom needs from elementary to middle school. Gain experiential play therapy techniques for individuals & classrooms that address specificacademic and behavioral concerns. While Autism Spectrum Disorders are rising and usually diagnosed by early childhood, some young adults or even older adults are later identified with ASD. This workshop will address typical family experiences with ASD based on clinical interviews and play observations within the play therapy session. List several typical challenges that families face with regard to their future family planning (education, jobs/career, independent living, financial.